Focused on increasing IBD access to its award-winning Kickstart smart helmet, Lumos Helmet has turned to HLC for distribution across North America. Seen as the last step in the merging of operations of the two companies, Hawley-Lambert has rebranded and is now known as HLC. Hawley-Lambert promotes Jeff Brown to Director of Operations role. Just in time for the summer – Hawley-Lambert adds Supacaz, Smarthalo and F2C. Lambert adds Supacaz accessories, SmartHalo technologies, F2C Nutritionals to its growing brand portfolio in the both Canada and the United States. Hawley-Lambert will distribute Promovec-made e-bikes in North America under the EVO brand. The companies have reached a distribution agreement for Pirelli's new PZero line of high-performance road tires. 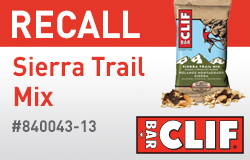 Clif Bar & Company is initiating a voluntary recall in Canada of CLIF® BUILDER'S® Bar Chocolate Mint flavour due to possible presence of undeclared peanuts and some tree nuts. Lambert announced that it is extending its product offering with the addition of five brands: Bern, Basil, Brooks, Kuat and Renthal. Lambert announced that it is extending its product portfolio with the addition of Deity. Products will be available in November. Lambert is extending its product portfolio with the addition of Enduro Bearings, a manufacturer of bike bearings, seals, bottom brackets and tools. 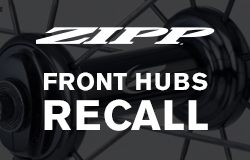 SRAM is recalling its ZIPP® 88v6, 88v7 and 88v8 aluminum front hubs. 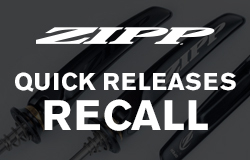 SRAM is recalling some of its ZIPP® quick releases.